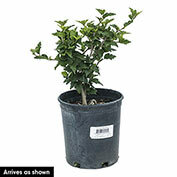 A great shrub for adding showy color to the summer garden-and now available in a gallon pot and shipping now. This shrub's large white flowers have bright red eyes that really pop against the green foliage-and they attract butterflies when they bloom in the summertime. Growing 8-10 ft. tall with a 5-6 ft. spread, Red Heart Hibiscus has slender, upright branches. Plant as an accent plant in the garden-or for a really impressive look, plant several to create a colorful hedge. Grows best when planted in full sun to partial shade. Deer tend to avoid. Potted. Zones 5-8. Color: White flowers with a red eye. Flower Form: Large, saucer-shaped flowers. 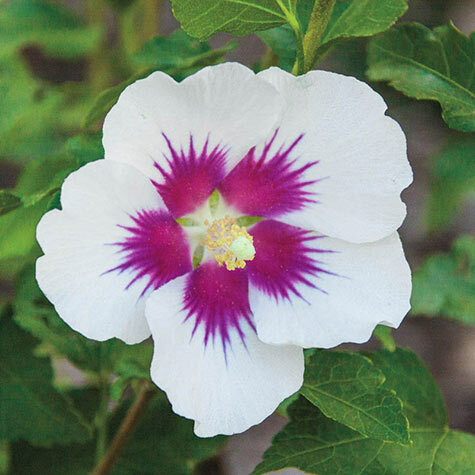 White flowers have a bright red eye that radiates out the veins, and petals edged with pink. 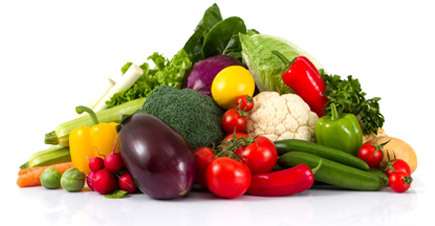 Soil Requirements: Prefers moist, well-drained soil. Pruning: Prune to maintain the desired form, if necessary. Comments: Add a tropical feel to your landscape. This showstopper makes a big impression!